Reuben Chan, 18, was shocked when Stomp contacted him about a kind deed that he had performed, as he did not do it for any credit or compliments. On the contrary, he did it simply because he felt that he had to. 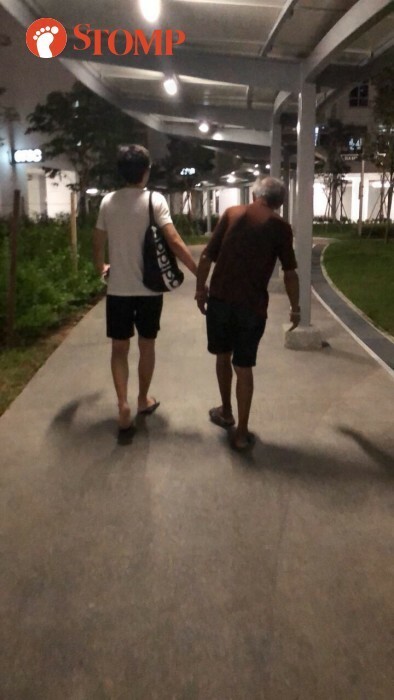 The Singapore Polytechnic student made headlines yesterday afternoon (Jun 12) for walking one hour with an elderly man from Orchid Country Club to Block 674 Yishun Avenue 4. The incident occurred on Monday (June 11) at around 8pm. Stomper Mic, who chanced upon the duo on her way home, tried helping them as well as she said "they looked lost". Pleased at how kind Reuben was, she provided Stomp with his name and contact details after asking him for it. Reuben told Stomp in an interview yesterday: "If someone came to you, I feel that there is a connection, so you should help. It is like fate, or something." 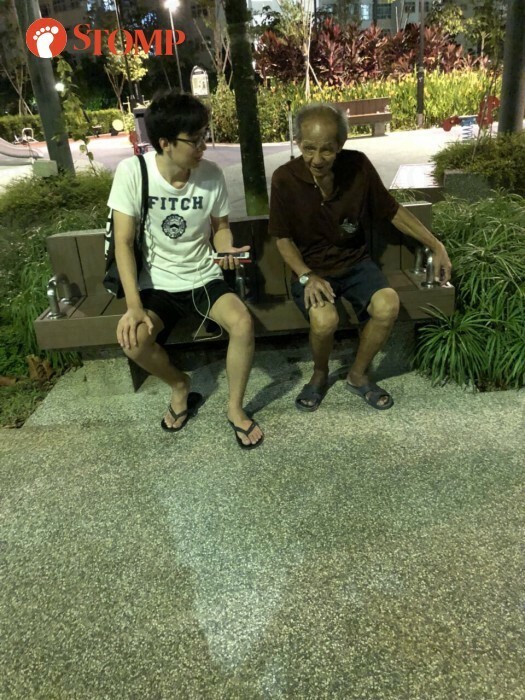 "I was walking and this elderly man came over and asked me for directions to this block in Yishun," said Reuben as he tried recalling the incident. Worried that the elderly man would not be able to find his way, Reuben decided to walk the old man to his destination, despite being clueless about the block's exact location as well. "I had to ask for directions along the way, and a lady helped. She was the same lady who contacted Stomp [about what I did]. "It actually took over an hour because the old man had to rest. A lot," said Reuben with a laugh. Recounting his experiences in helping others, Reuben said: "A few years back when I was staying in Serangoon, I helped an old lady as well. 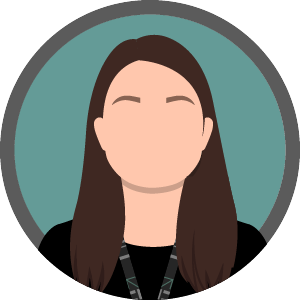 "She was in Nex and wanted to go to Lorong Chuan but she didn't know how to get there." When asked if he was usually helpful, Reuben let out an embarrassed laugh and shrugged. "I would say it's in my nature? That kind of thing. "I just felt shocked about the article and for receiving the Goody Bag for what I did, I didn't even know there was such a thing. "But I just feel that if someone came to you, you should help." Stomp presented Reuben with a Stomp Goody Bag as part of our efforts to recognise everyday heroes and highlight heartwarming deeds.